Next Monday I begin volunteering at The Shine Centre in Zonnebloem, part of District 6 in Cape Town’s City Bowl. District 6 is an inner-city residential area consisting of Walmer Estate, Zonnebloem, and Lower Vrede. It has an interesting history beginning in the 1800s. 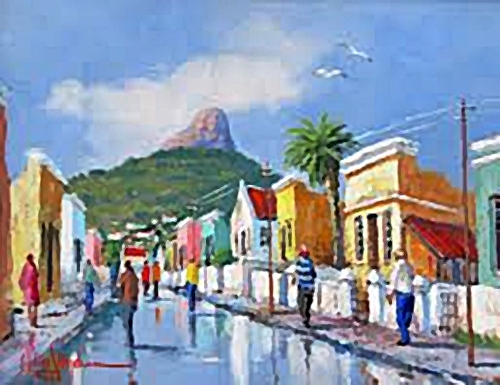 In 1838 during the British era and after the release of slaves, many free African families needed inexpensive housing in Cape Town. To meet the housing needs of African laborers some former slave owners turned ‘slumlords’ developed areas where they rented low-cost rooms to poor people needing accommodation. 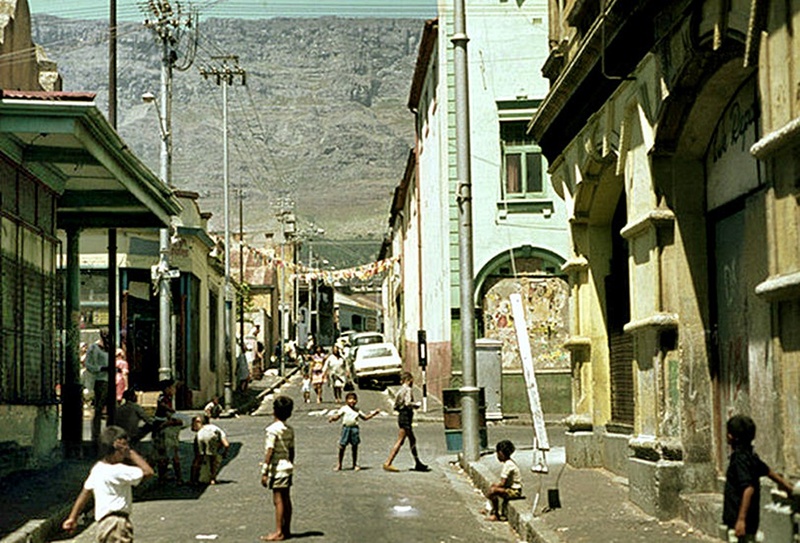 There were no building restrictions in Cape Town until the 1860s so much of the housing in lower Cape Town and District 6 was in cramped spaces between narrow alleyways without running water or plumbing. In spite of the poor over-crowded housing conditions, District 6 became a vibrant multi-racial working class community and cultural centre. Those who lived in District 6 were tolerant and supportive of each other and enjoyed lively entertainment. District 6 was the home of jazz and the heartbeat of Cape Town. 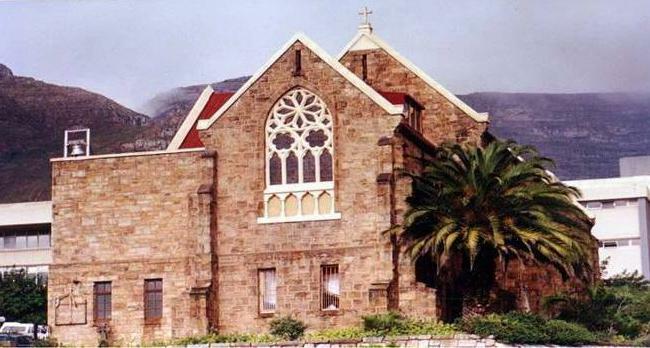 The community included former African slaves, artisans, Irish and Portuguese sailors, merchants, Jewish and other immigrants from Eastern Europe and Russia, Muslims, Xhosas, Cape Malay people brought to South Africa by the Dutch East India Company, and smaller numbers of Afrikaners, whites, and Indians. In the 1930s District 6 began a dramatic transformation. By the beginning of World War II developers had built thousands of new homes in the area. The problem was that the existing residents could not afford the higher rents charged for new housing. 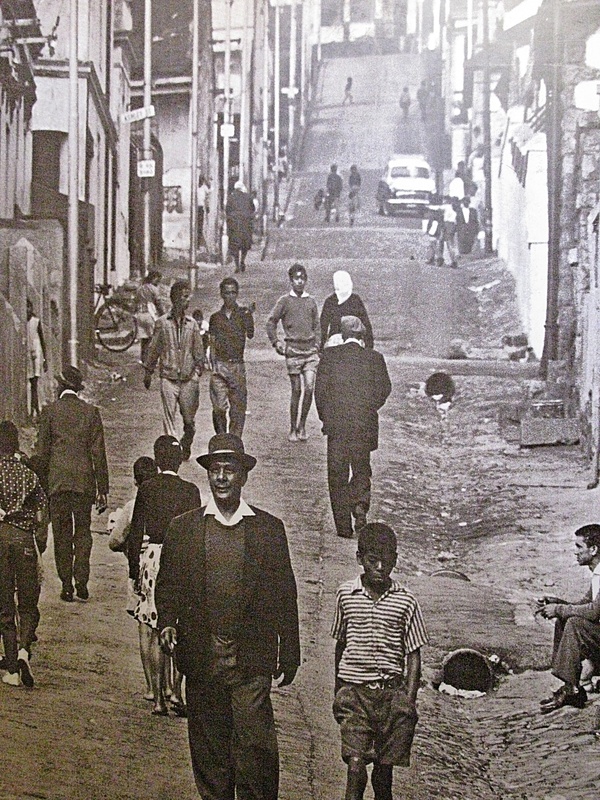 During the 1950s and 1960s the Cape Times ran a series of articles challenging District 6’s reputation as a “dirty infested place full of gangs and brothels”. Many saw redevelopment plans as a government scheme to introduce racial segregation. The articles emphasized the positive aspects of the area and fought back against forces for destruction of District 6 because it was “crime-ridden, unsightly, and full of vice”. In 1966 the National Party declared District 6 a “White Group Area”. They destroyed buildings (except religious ones) as part of a “slum clearance” project. Politicians claimed District 6 was a “squalid, dangerous” environment. As part of the redevelopment process the government proceeded with “forced removal of about 150,000 people from unplanned residential areas”. The removal areas included coloured and African homes in District 6 and Cape Flats. Most of the residents suffered the humiliation of being removed from their homes. In 1970 the government renamed District 6 Zonnebloem (Dutch for sunflower) after the original Dutch farm known as Zonnebloem Farming Estate. They wanted developers to transform the area, but activist organizations successfully discouraged further building and development. 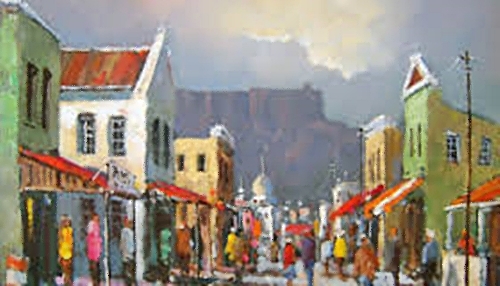 By the 1980s the Zonnebloem population was mostly middle-income Afrikaans-speaking whites.There was no new building in Zonnebloem other than Oriental Plaza developed by Indian traders. 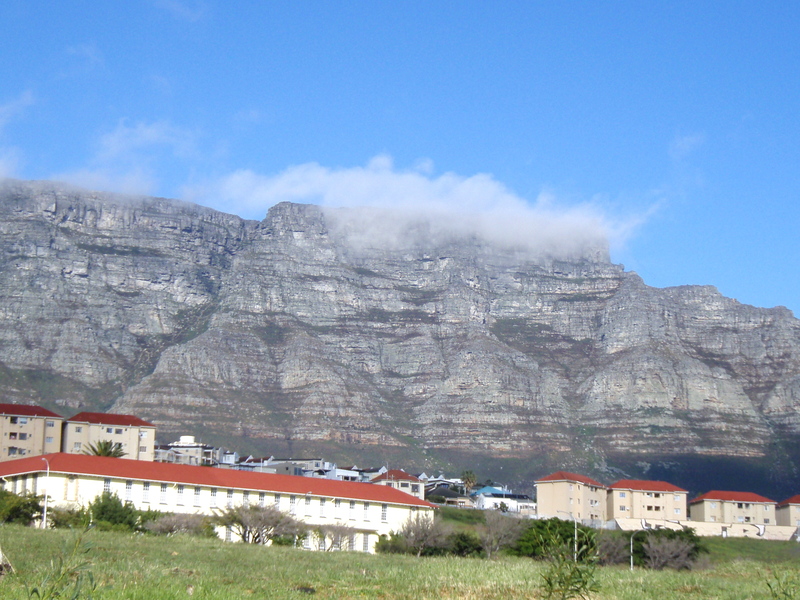 Later the government built the Cape Technikon (Cape Peninsula University of Technology) and accommodation for its staff in Zonnebloem. Since the fall of apartheid in 1994 District 6 is still largely barren. A few schools, churches, and mosques are all that remain of the original buildings. 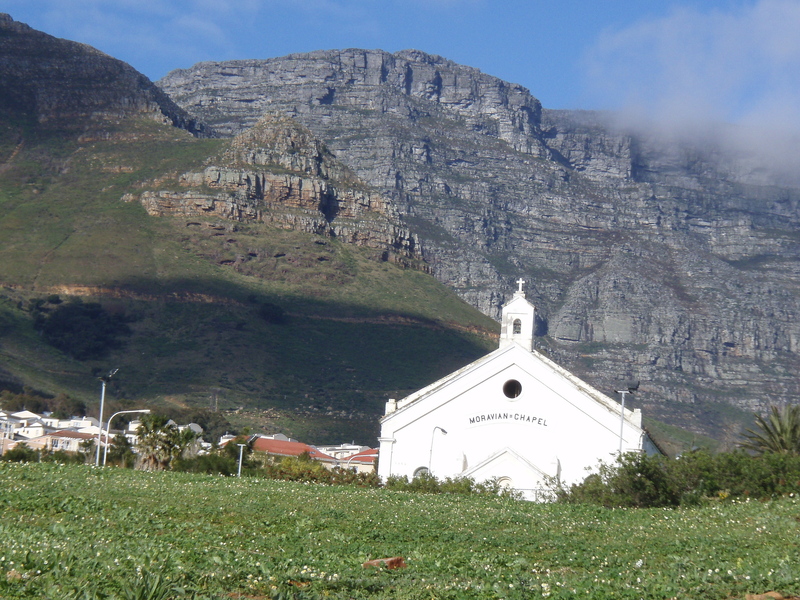 Even today Capetonians think that in spite of its poverty District 6 was “rich in spiritual things and community character”. To many, District 6 is a symbol of “what apartheid did to families and communities”. The South African government recognized the claims of former District 6 residents and pledged to support rebuilding in the area. This entry was posted in South Africa and tagged Afrikaner, British Era South Africa, Cape Jazz, Cape Malay, Cape Town’s City Bowl, District 6, District 6 Slumlords, Lower Vrede, Oriental Plaza, Slavery and Colonisation in South Africa, Technikon, Walmer Estate, Xhosa, Zonnebloem by suemtravels. Bookmark the permalink. Admiring the dedication you put into your blog and in depth information you present. It’s good to come across a blog every once in a while that isn’t the same old rehashed material. Wonderful read! I’ve saved your site and I’m adding your RSS feeds to my Google account. My partner and I stumbled over here from a different page and thought I should check things out. I like what I see so now i am following you. Look forward to looking over your web page yet again. Hey there! I’ve been following your web site for a long time now and finally got the courage to go ahead and give you a shout out from Kingwood Tx! Just wanted to say keep up the fantastic work! Thanks for a marvelous posting! I definitely enjoyed reading it, you could be a great author.I will always bookmark your blog and definitely will come back later in life. I want to encourage continue your great writing, have a nice day!